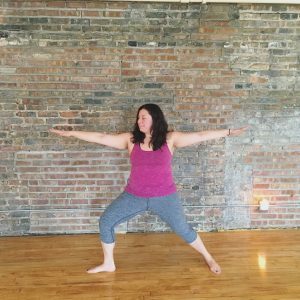 I came to yoga almost 10 years ago hoping to try something that I’ve never done before – looking for a clean slate. I went to a 90 minute all levels vinyasa class, and spent most of the time in child’s pose. After that class, I decided that I would keep showing up on my mat. I love the beach – any beach. I can sit on the sand infront of water all day – reading, daydreaming, people watching, and munching clementines. It’s a goal of mine to visit as many Spanish speaking countries as possible. Last year, I traveled to Cuba on a yoga retreat and it was magical. ️ I’m an educator to school-aged youth. My current role allows me to support 6-18 year-olds as they discover their passion and develop their voice and skills as writers. Hearing students write about what excites them, or what they’re feeling, or what they’ve created in their imaginations is one of the rewards of my job. I think that music is a great way of connecting with people. 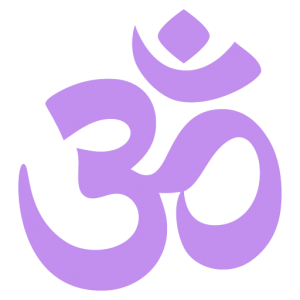 I like to curate playlists for my yoga classes that bring all kinds of cultures and sounds together. Also, I regularly dream about becoming a DJ. Reading is one of my favorite things to do. I read about a book a week and am always looking for recommendations! 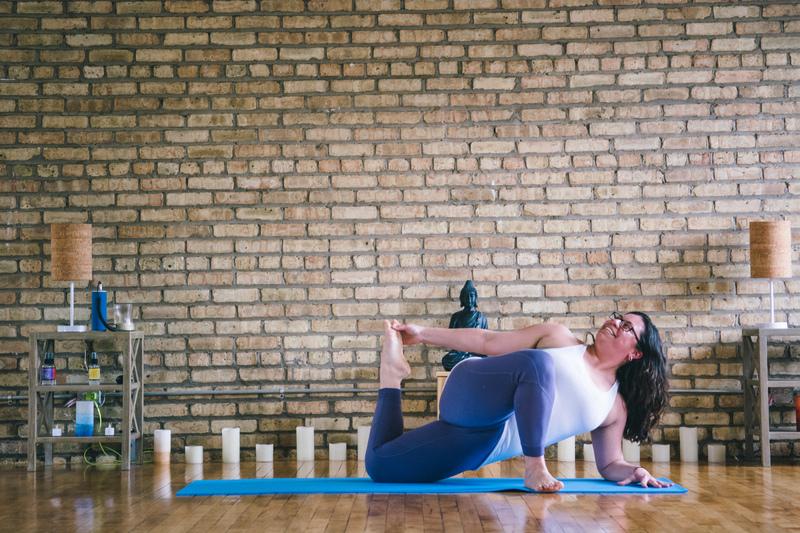 Maria began her yoga practice back in 2010 when she walked into her first class. She was totally unprepared for the 90 minutes that followed but, she knew the only way to be prepared was to come back to her mat the next day. 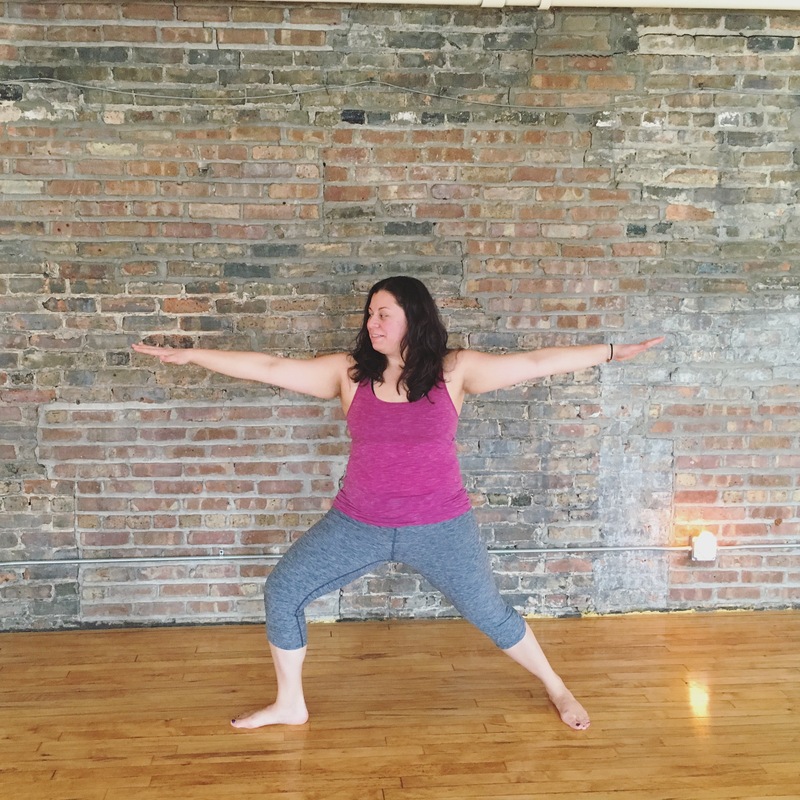 Maria loves a strong vinyasa class that incorporates pranayama and good music to help facilitate the flow. 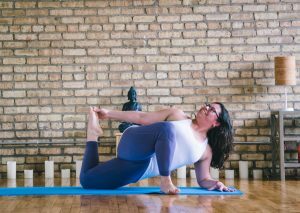 She loves creating a class that has yogis moving, breathing and being playful in their practice while fostering a sense of calm.